If you are an Asian, you might have felt weird when westerners called your first name last & last name first. Yes, it’s sometimes unlikely but at least, you have last name or family name to be addressed. But for us, Myanmar, last name is just a word in stories written in English. Believe it or not! We don’t have family name at all. And it’s apparently no space for another box beside the column of Name in any form to fill up IN MYANMAR. But whenever we try to fill up the online forms, we have no choice except filling the family name space as they make it mandatory. And, what do we fill? For me, I put first two words of my name as first name and last word as last name. So random? Well, at that point, you may wanna know how many words are there in each name? My wise answer is “it depends”. Yes, it totally depends of how creative the parents or whoever give the names are. They have the chance to grab any words to form a beautiful or cute or brave or weird name according to their taste. Usually, they make it three. Mine has three, my b.f & brother also own three-words name while my both parents possess two-words name. Some of my friends’ names are made up of four and I’ve seen few of those with the names of five words. And I seldom find eight or seven words named person in newspapers and journals. 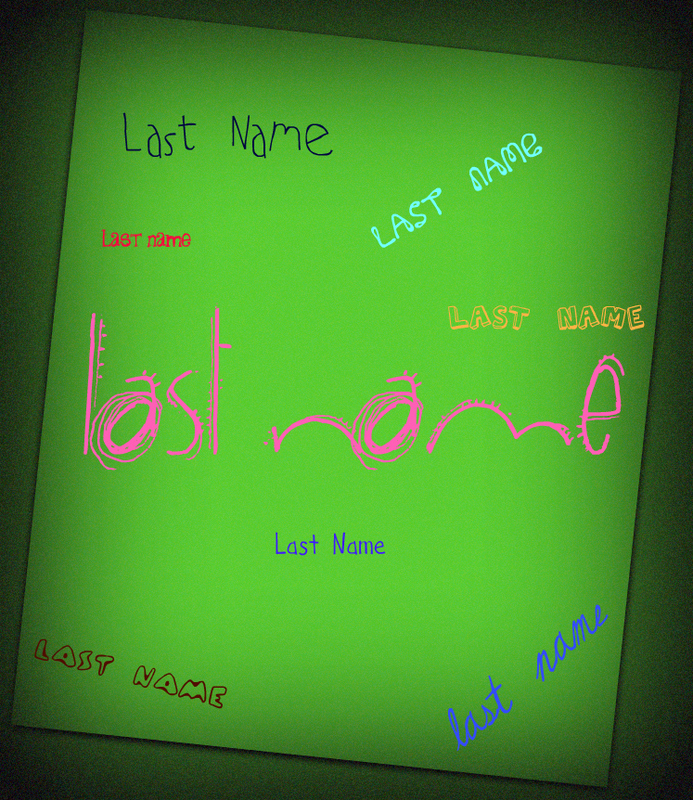 Now, you know that we have no particular or standardized way to divide our names just to fill up the form. Some of my foreign friends have questioned me back when I explained about it. “How do you differentiate who is whose children when you don’t have common name with your parents?” Hmm, my answer is “Why do you need to differentiate? Yes, for us, we’ve never thought that we need to be differentiated according to parents. If you know me & I know you, do you still need to know my parents’ names? On the other hand, I laughed out loud when my friends called me the middle word of my name. As language is arbitrary, that word “Myae” means “Nearly to be torn” when it stands alone though it becomes “pleasant & cool” when it is combined with the first word “Chan” whose meaning is “Cold”. So I requested them not to call me “Myae”. But that rule implies only for me and there must have several ways to call different people with various style of names. No one can’t remember how many forms they have filled in & either me. But I’m counting the days when those forms set last name boxes as optional. It may be possible if Myanmar is a powerful country. But when will it be? In my next life?